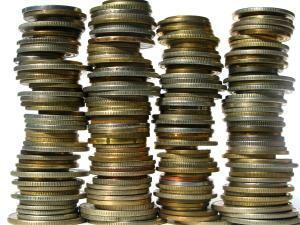 > Articles> Coin Values – How Much Is Your Coin Worth? One of the most enjoyable parts of coin collecting is learning about coin values. After all, as enjoyable as coin collecting is on its own, seeing the investment potential of a coin collection is also enjoyable. Besides, when you can see your coins increase in value, it makes your hobby feel functional. And, when you can see how many coins your current coins are worth, it is a self-expanding hobby. However, to enjoy this aspect of coin collecting, you are going to need a way to look up coin values. One of the best places to go for coin values is to a coin dealer. These people are experts in their field and they are likely to stay abreast of prices, auctions, information and news related to coin collecting. And, because they are probably coin collectors themselves, you can sit down with them and discuss coins and how you can improve your collection. And, because dealers buy and sell coins, they can help you sell your coins if and when you want to sell portions of your collection; by either buying the coins directly or connecting you to other buyers they are familiar with. Another method for determining coin values is through coin blue books. There are several books out there that contain complete lists of almost every coin ever struck and their current values. These books come out every year and they list the market value of coins by year, minting location and condition, as well as any other pertinent information that may affect market value. However, their information is fixed once they are published and, in some cases, the information is already out of date by the time the book hits the stands. But they will, at the very least, give a good idea of how much your coins are worth. The Internet is also a very good source of information, thanks to several sites that offer lists of coin values. Many of the sites are very up-to-date and stay close to new developments, though it depends on the particular site. Unfortunately, since many things on the Internet are not always reliable, it is best to check a few sites in order to ensure that the information is correct. By looking at a few different sites, you can get averages of several sources and avoid getting bad information from one site that is neglecting to update. Of course, coin values are not just arbitrary numbers. In fact, the value of a coin is actually the amount that someone would expect to receive upon selling a coin. Which means that it is, essentially, how much someone should be willing to pay for a given coin. So, if you want to figure out what a coin is worth, you should see what people are paying for it. With all the auction sites and coin sale sites out there, you can find the information you need just by researching what other people are asking or paying for a particular coin. Finding coin values takes a little effort and diligence, but it is certainly worthwhile. It allows you to find out what your collection has been doing for you and it lets you determine how well you have chosen the coins that have gone into your collection. And that has a lot to do with the fact that coin values also determine how many other people want exactly what you have sitting in front of you.